Why oh why did you show yourself to me only now ??????????? 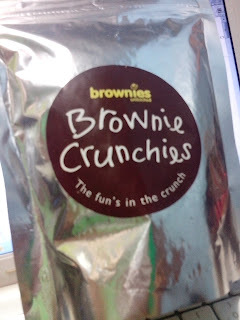 These crunchies were so good that I wasn't able to take a photo using a camera because they all vanished from the pack. Glad that my cfone is beside me so I was able to take photos even if they're a bit unflattering. A pack costs P65 (only!!!) 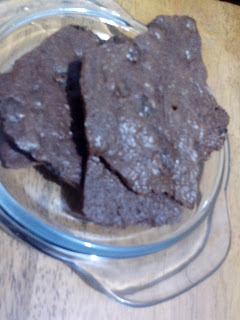 at Brownies Unlimited Branches. Sayang nag pass ako when i saw these. I'll try these on the weekend, my cheat day. Looks yummy!